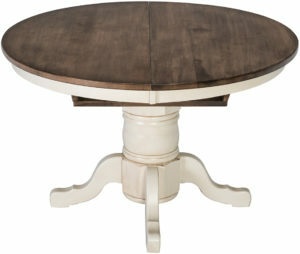 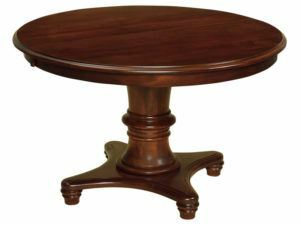 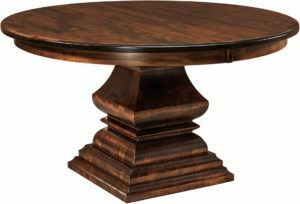 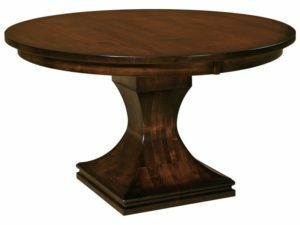 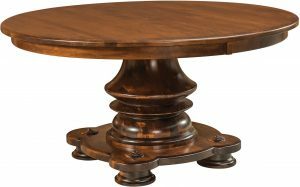 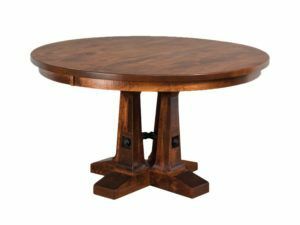 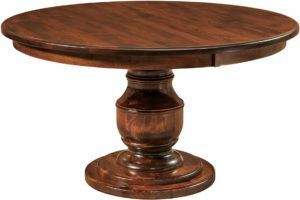 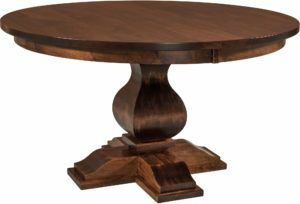 If you have your sights on a round dining table, you need to work your way around the vast collection of Round Dining Tables from Weaver Furniture Sales. 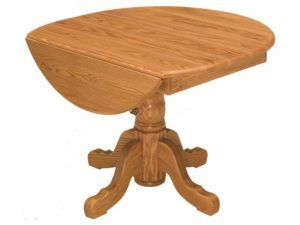 Including Shaker, Traditional and Modern styles. 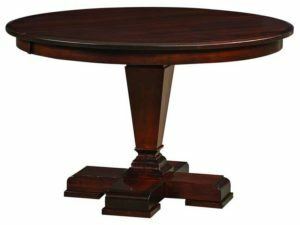 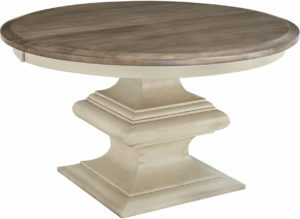 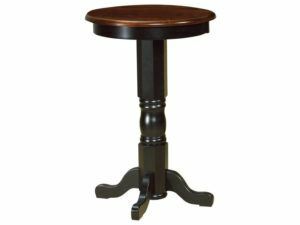 Plus pedestal and leg table designs. 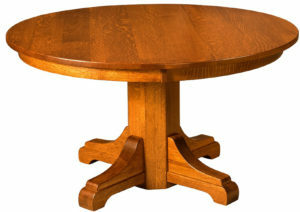 Also, some round dining tables come with leaves. 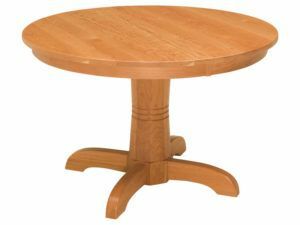 So the dining table becomes oval-shaped and accommodates more people. 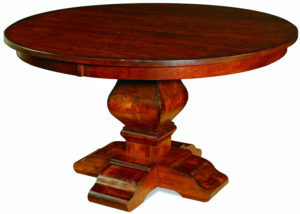 What’s more, you can select from a range table-top edge designs. 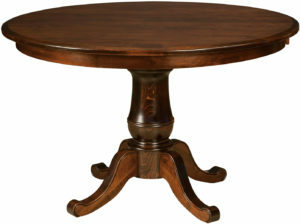 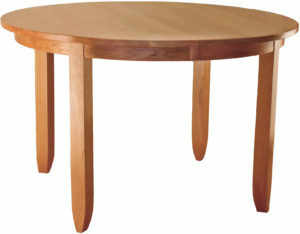 That said, all the round dining tables have two things in common. 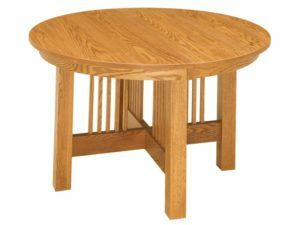 First, skilled Amish craftsmen custom build each piece. 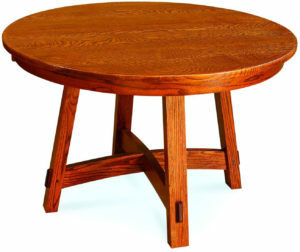 And second, the Amish men use solid regional hardwoods like oak, maple, cherry and hickory. 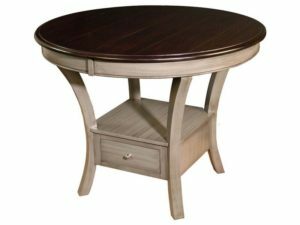 So you can be assured that the dining table you choose will be sturdy and durable. 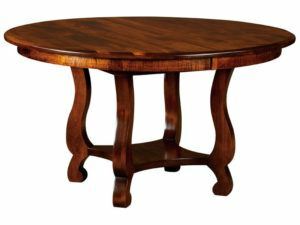 In fact, with proper care, your Weaver dining table should last for generations to come. 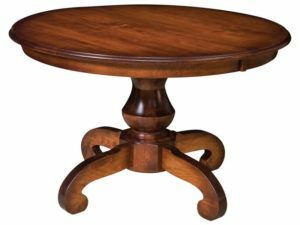 Have fun browsing the collection below. 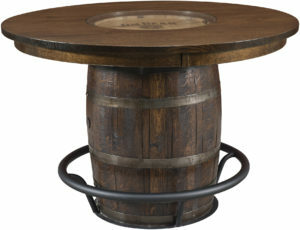 Or visit Weaver’s ‘brick and mortar’ store in Shipshewana, Indiana. 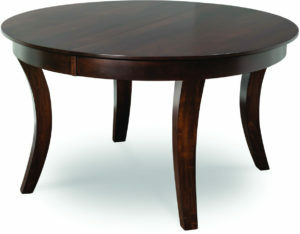 And see our dining room tables for yourself. 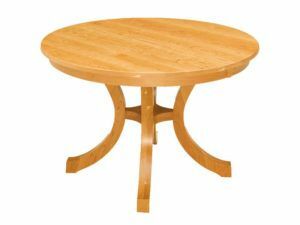 Providing you with a wide selection of round dining tables is just part of the Weaver way of fulfilling your needs and desires for the finest furniture. 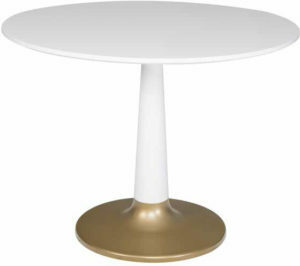 Because you can also customize the table of your choice. 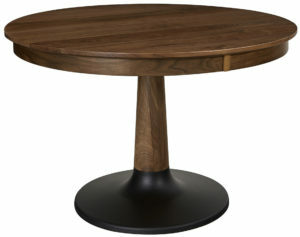 This means you can choose the wood specie and finish/dye. 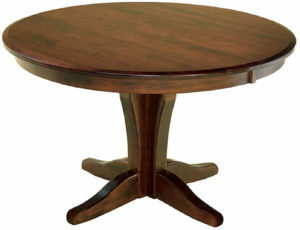 Plus, you can choose the final size of the table, plus other items. 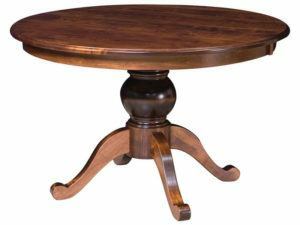 What’s more, we have a vast collection of dining room chairs to choose from. 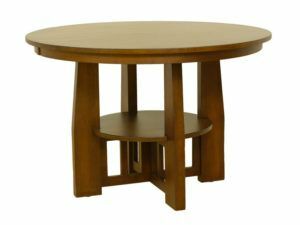 So you can get the complete dining table set you’ve always longed for.